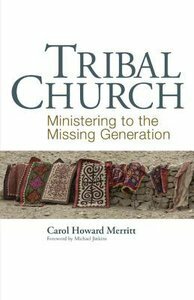 Carol Howard Merritt, a pastor in her mid-thirties, presents a vision of the "tribal church" that intentionally reaches out to the nomadic culture of young adults and responds to their special gifts and needs. Merritt's metaphor of a tribe describes the close bonds that form when people of all ages decide to walk together on their spiritual journeys. Merritt points out that mainline churches have much to offer young adults as well as much to learn from them. By breaking down artificial age barriers and building up intentional relationships, congregations can provide a space for all people to connect with God, each other, and the world. With few places left in society that allow for real intergener-ational connections to be made, Merritt suggests a compelling way for churches to be able to approach young adults on their own terms. Outlining the financial, social, and familial situations that affect many young adults today, she describes how churches can provide a safe, supportive place for young adults to nurture relationships and foster spiritual growth.